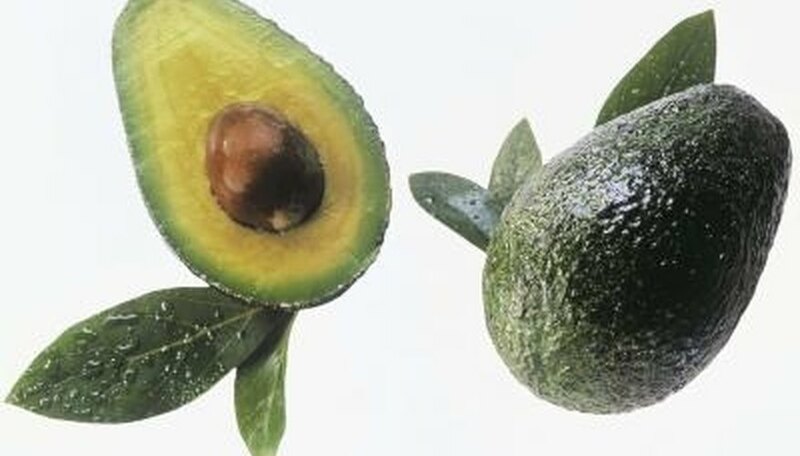 The Wurtz avocado is a hybrid created from the Mexican and Guatemalan avocado species. Sometimes referred to as Little Cado, the Wurtz avocado was created by Roy Wurtz in Encinitas, California, in 1935. Despite the Wurtz avocado tree's small size, it produces abundant fruits within one to two years of planting if it is a grafted tree, grown in the right conditions and properly taken care of. The Wurtz avocado tree is a dwarf tree. Compared to other avocado trees, which can grow up to 80 feet, a Wurtz avocado tree grows to about 10 feet. Due to its small size, the Wurtz avocado tree can be grown in a container and is a good option for smaller front and back yards. A Wurtz avocado tree will do well in mild-winter areas of California, Hawaii and Florida. The soil needs to be sandy to accommodate the tree's large roots and fast draining so that the roots do not succumb to root rot fungus. The soil should be a combination of planting mix and topsoil. Watering may be required every day during the summer to keep the soil lightly moist. While the Wurtz avocado tree can tolerate temperatures as low as 25 degrees F, it should be kept in a warm environment as much as possible with protection against strong winds and frost. A young tree, one that is less than 12 months old, requires shelter from direct summer sunlight or else the stems and bark will burn. After a year or two, the tree will grow enough foliage to shade itself from the sun. If the Wurtz avocado tree is cared for properly, it will start growing flowers for pollination sometime between January and March within one to two years of planting, if it is a grafted tree. A grafted tree is a tree grown from seedling tissue that has been mixed with the tissue of a producing tree. Purchasing a grafted Wurtz avocado tree from a nursery is the easiest way for non-professionals to have a fruit-bearing tree as avocado grafting requires precise handling and weather conditions that even professionals have a hard time with. A tree grown directly from a seed will not start producing fruit until it is 8-to-20 years old. Once the flowers are pollinated, the Wurtz avocado tree bears fruit that ripens between May and September. The fruits are dark green and medium in size, ranging from 6-to-12 ounces. They have thin and shiny skin with small seeds. The fruits have been rated by growers as having a good and consistent flavor, with an oil content of 16 percent.